Get Wanda Jackson essential facts below. 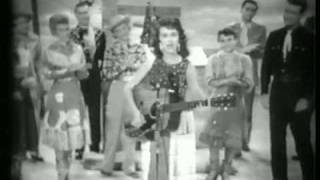 View Videos or join the Wanda Jackson discussion. 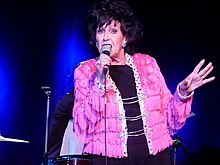 Add Wanda Jackson to your PopFlock.com topic list for future reference or share this resource on social media. Wanda Lavonne Jackson (born October 20, 1937) is an American singer, songwriter, pianist and guitarist who had success in the mid-1950s and 1960s as one of the first popular female rockabilly singers and a pioneering rock-and-roll artist. She is known to many as the "Queen of Rockabilly" or the "First Lady of Rockabilly". Jackson mixed country music with fast-moving rockabilly, often recording them on opposite sides of a record. As rockabilly declined in popularity in the mid-1960s, she moved to a successful career in mainstream country music with a string of hits between 1966 and 1973, including "Tears Will Be the Chaser for Your Wine", "A Woman Lives for Love" and "Fancy Satin Pillows". She had a resurgence in popularity in the 1980s among rockabilly revivalists in Europe and younger Americana fans. In 2009, she was inducted into the Rock and Roll Hall of Fame in the category Early Influence. Jackson was born to Tom Robert Jackson (March 24, 1915 - October 1985) and Nellie Vera Jackson (December 19, 1913 - January 14, 2011) in Maud, Oklahoma, in 1937. She has lived much of her life in Oklahoma City. Her father, a musician, moved the family to Bakersfield, California, during the 1940s in hopes of a better life. Two years later, he bought Jackson a guitar and encouraged her to play. He also took her to see performances by Spade Cooley, Tex Williams and Bob Wills, which left a lasting impression. In 1948, when she was 11, the family moved back to Oklahoma. In 1956, she won a talent contest which led to her own radio program, soon extended by 30 minutes. Jackson began her professional career while still attending Capitol Hill High School in Oklahoma City after being discovered by Hank Thompson in 1954, who heard her singing on a local radio station, KLPR-AM, and invited her to perform with his band, the Brazos Valley Boys. She recorded a few songs on their label, Capitol Records, including "You Can't Have My Love", a duet with Thompson's bandleader, Billy Gray. The song was released as a single in 1954 and reached number 8 on the country chart. Jackson asked Capitol to sign her but was turned down by producer Ken Nelson, who told her, "Girls don't sell records." She signed with Decca Records instead. After graduating from high school, Jackson began to tour with her father as manager and chaperon. She often shared the bill with Elvis Presley, who encouraged her to sing rockabilly. She briefly dated Presley while touring. She was a cast member of ABC-TV's Ozark Jubilee in Springfield, Missouri, from 1955 to 1960. In 1956 she signed with Capitol, recording a number of singles mixing country with rock and roll. "I Gotta Know", released in 1956, peaked at number 15. Jackson's stage outfits in these years were often designed by her mother. Unlike the traditional clothing worn by female country music singers of the time, she wore fringed dresses, high heels and long earrings. She has claimed she was the first woman to put "glamour into country music." She continued to record more rockabilly singles through the decade with the producer Ken Nelson. Jackson insisted that Nelson make her records sound like those of label mates Gene Vincent and the Blue Caps. Nelson brought in many experienced and popular session players, including the rock-and-roll pianist Merill Moore and the then-unknown Buck Owens. With a unique vocal style and upbeat material, Jackson created some of the most influential rock and roll of the time. In the late 1950s, Jackson recorded and released a number of rockabilly songs, including "Hot Dog! That Made Him Mad", "Mean, Mean Man", "Fujiyama Mama" (which hit number 1 in Japan) and "Honey Bop". The songs were only regional hits. She toured Japan in February and March 1959. In 1960, Jackson had a Top 40 pop hit with "Let's Have a Party", a song Presley had recorded three years earlier. She was headlining concerts with her own band, which she dubbed the Party Timers. Prominently featured were the pianist Big Al Downing and the guitarist Roy Clark, who was virtually unknown at the time. Her country music career also began to take off with the self-penned "Right or Wrong", a number 9 hit, and "In the Middle of a Heartache", which peaked at number 6. Both records also had Top 40 success. The unexpected success of her records led Capitol to release a number of albums composed of her 1950s material, including Rockin' with Wanda (1960) and There's a Party Goin' On, which included "Tongue Tied" and "Hard-Headed Woman". Her 1961 and 1962 albums, Right or Wrong and Wonderful Wanda, featured her two top-ten country hits from 1961. In 1963, Jackson recorded another album, Two Sides of Wanda, which included both rock and roll and country music, including a cover of Jerry Lee Lewis's "Whole Lotta Shakin' Goin' On". The album earned Jackson her first Grammy nomination, for Best Female Country Vocal Performance. By 1965, Jackson was focusing more exclusively on traditional country music as rockabilly declined in popularity, and had a string of Top 40 hits during the next ten years. In 1966, she released two singles that peaked in the country top 20, "Tears Will Be the Chaser for Your Wine" and "The Box It Came In". In early 1965, Jackson was invited by the German distribution partner of Capitol Records, Electrola, to record in German. Jackson's German-language debut single, "Santo Domingo" (backed with "Morgen, ja morgen"), recorded at Electrola's studios in Cologne, peaked at number 5 on the official German charts and at number 1 on the charts of Germany's most influential teen magazine, Bravo. In the first months following the chart success of Santo Domingo, Jackson also re-recorded some of her German songs in Dutch and Japanese. The success of Santo Domingo prompted the recording of eight further German-language singles until 1968, which were also released on an album, Made in Germany. Her last German single was recorded in 1970. In 1967, she recorded two albums, and released a string of singles during the next few years that often asserted a fiery and violent persona, including 1969's "My Big Iron Skillet", a top 20 hit, which threatened death or assault for cheating on a spouse. In 1970 and 1971, she had her final top 20 country hits with "A Woman Lives for Love" (her second Grammy nomination) and "Fancy Satin Pillows". Jackson was a premier attraction in Las Vegas. She followed Kitty Wells's lead as only the second country female vocalist to have her own syndicated television show, Music Village, from 1967 to 1968. In the early 1970s, at her children's request, Jackson and her husband began to regularly attend church and became Christians. She began recording gospel songs and albums, including Praise the Lord for Capitol in 1972. After Capitol dropped her, she recorded a number of albums for small religious labels and set up evangelical church tours across the country with her husband. Jackson wanted to record a mix of country and gospel music for her albums; however, religious labels were not interested. In the early 1980s, Jackson was invited to Europe to play and record rockabilly material when revivalists sought her out. She regularly toured Scandinavia, England, and Germany during the decade. Now embracing her rock-and-roll history, Jackson released the album Rockabilly Fever in 1984 (later issued by Rounder Records as Rock N' Roll Your Blues Away in 1986), her first secular album in a decade and her first recording of rock music in over twenty years. Cyndi Lauper acknowledged Jackson's classic rockabilly records were a major influence and inspiration for her during this period, and Jackson's fans also included a new generation of country music female vocalists, among them Rosanne Cash, Pam Tillis, Jann Browne and Rosie Flores. Jackson recorded a duet with Browne on a 1987 album by Browne, and in 1995 she sang two duets with Flores on her 1995 album, Rockabilly Filly, and then embarked on a United States tour with her, her first American tour since the 1970s. She played at the Rockabilly Festival in Jackson, Tennessee, in 2001 with The Cadillac Angels. Despite her age, Jackson continued touring. Jackson released her first studio album since 1987, Heart Trouble (2003) on CMH Records. The sixteen-track album included guest appearances by Elvis Costello, the Cramps and Rosie Flores. The singer Amy LaVere portrayed a young Jackson in the Johnny Cash biopic, Walk the Line (2005). Jackson was interviewed about the origins of rockabilly in the award-winning Canadian documentary Rockabilly 514 (2008), directed by Patricia Chica and Mike Wafer. She returned to England on October 28, 2008, for an appearance at the London Rock 'n' Roll Festival with Jerry Lee Lewis and Linda Gail Lewis at the London Forum. In 2009, she teamed up with Jack White to record The Party Ain't Over (2011), which was well received by many critics but failed to come close to the success of Van Lear Rose, which White produced for the legendary Loretta Lynn. Jackson enjoyed her first charting on the Billboard Hot 200 LP chart, peaking at number 58. The album also broke Mae West's long-standing record for being the oldest female vocalist to make the chart with her 1966 album Way Out West; Jackson was 73 being, a year older than West, at the time of her hit rock LP. Billboard inexplicably failed to include The Party Ain't Over on the Billboard Hot Country LPs chart, although several of the songs were clearly country, and the genre in which Jackson was always most successful in the United States. To promote The Party Ain't Over, she performed with Jack White on the television programs Late Show with David Letterman and Conan. Wanda's song "Funnel of Love" appeared in Guy Ritchie's film RocknRolla in 2008 and was included on the film's soundtrack. An episode of the HBO program Entourage in 2010 featured the same song as the music to the ending credits. Jackson appeared on the BBC's Hootenanny at the end of 2010, performing her version of "Let's Have a Party" and a cover of the Amy Winehouse song "You Know I'm No Good" with Jools Holland and his orchestra. The following year, after Winehouse's death, she took part in an Amy Winehouse tribute performance with Sharon Jones & The Dap-Kings at the VH1 Divas Live 2011. Jackson released her thirty-first studio album Unfinished Business (2012) for Sugar Hill Records. The album goes back to her rockabilly and country roots and was produced by Americana singer-songwriter Justin Townes Earle. The album became Jackson's first in 39 years to make the Billboard Hot Country LP chart. In 1955, Jackson briefly dated Elvis Presley while on tour with him. She married former IBM programmer Wendell Goodman in 1961, who served as her manager. He passed away on May 21, 2017. The couple have two children. As of the 2000s she lives in Oklahoma City. At the 7th Annual Grammy Awards in 1964, Jackson was nominated in the category of Best Country & Western Vocal Performance - Female for her album Two Sides of Wanda. 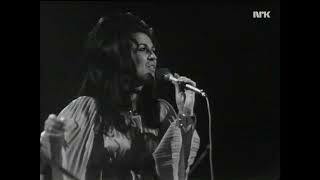 At the 13th Annual Grammy Awards in 1970, she was nominated in the Best Country Vocal Performance, Female category for the song "A Woman Lives for Love". 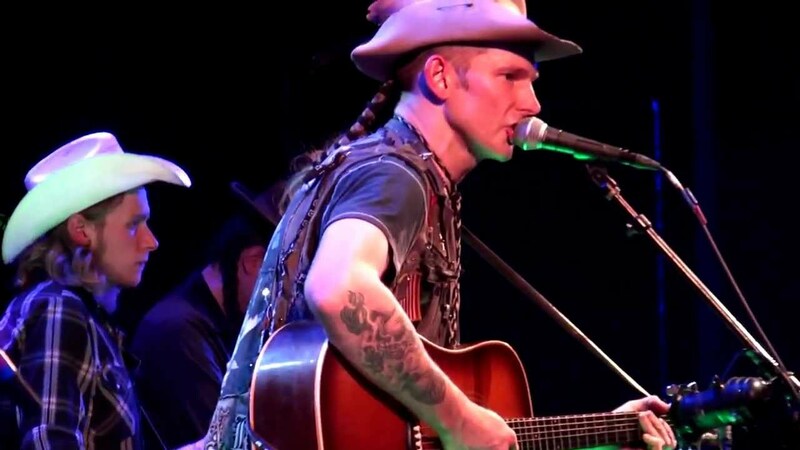 Jackson is a member of the Rockabilly Hall of Fame and the Oklahoma Music and Oklahoma Country Music halls of fame, as well as the International Gospel and the German Music halls of fame. Jackson ranked number 35 on CMT's 2002 special, "The 40 Greatest Women of Country Music". She is a recipient of a 2005 National Heritage Fellowship awarded by the National Endowment for the Arts, which is the United States' highest honor in the folk and traditional arts. She was nominated for induction into the Rock and Roll Hall of Fame in 2005 but was not elected. In September 2008, she was nominated for a second time; and was inducted on April 4, 2009 as an Early Influence. She was the first addition to the category in nine years. In 2006 Alfred Publishing acknowledged her influence on young musicians by publishing The Best of Wanda Jackson: Let's Have a Party, a songbook with music and lyrics to thirteen songs associated with Jackson. It was the first songbook ever published on Jackson. In 2009, Oklahoma City named an alley for her in the Bricktown entertainment district. 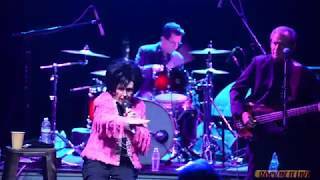 "Wanda Jackson Way" was officially christened with a live performance by Jackson in her "Way" on September 30, 2009. Besides this street in Oklahoma City, the city of Maud, Oklahoma, where she was born, has named one of its streets, Wanda Jackson Boulevard. On September 9, 2010, she was presented with the Lifetime Achievement Award for Performance at the Americana Music Honors & Awards by Jack White on behalf of the Americana Music Association. In 2013, she was inducted into the Iowa Rock and Roll Music Association (IRRMA) Hall of Fame in the category "Women Who Rock". In 2016, Jackson received the "Founder of the Sound" award at the Ameripolitan Music Awards. In 1964, Ronnie Dove took Wanda's "Right or Wrong" to No. 14 on the Billboard Hot 100. 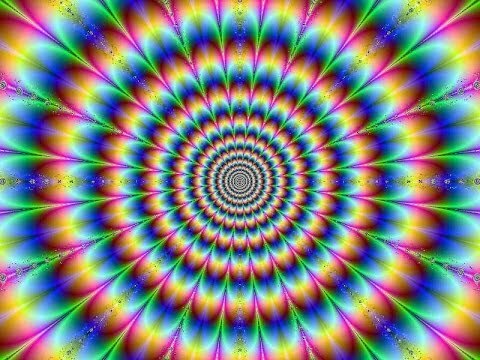 Jackson's "Funnel of Love" is a popular song amongst rock bands, being covered by the English rock band the Fall on their 2010 album Your Future Our Clutter, by the band The Young Veins for their 2010 album Take a Vacation! as a bonus MP3 track when bought on Amazon.com, by Social Distortion lead singer Mike Ness on his 1999 album Under the Influences, by the Welsh psychobilly band Demented Are Go on their 1999 album Hellucifernation, by American indie folk band Mutual Benefit on the compilation album Mad Love in Crazy Times, as well as by Southern Culture on the Skids on the 2007 album Countrypolitan Favorites. It was later recorded by Cyndi Lauper on her 2016 classic country covers album Detour. Jackson's autobiography titled Every Night is Saturday Night: A Country Girl's Journey to the Rock and Roll Hall of Fame was published on November 14, 2017. 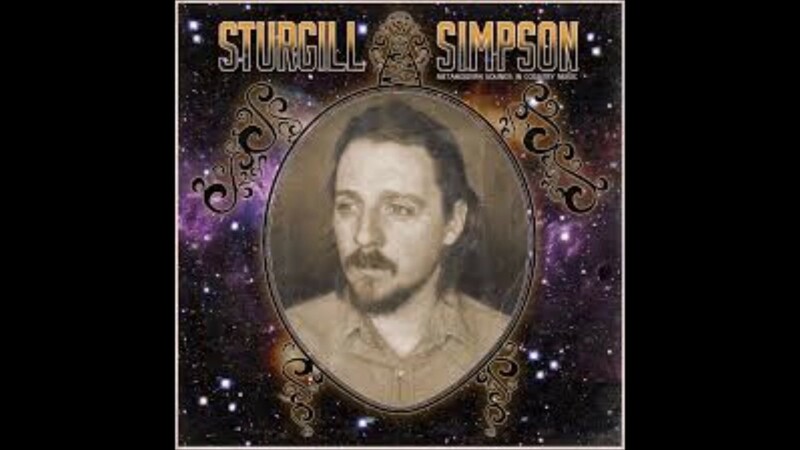 Co-written by Jackson and Scott Bomar, it was published by BMG Music and features a foreword by Elvis Costello. The launch was honoured by an official party, signing and performance at the Grammy Museum and a celebratory event at the Country Music Hall of Fame and Museum. ^ "Live Review: Adele, Wanda Jackson at the Greek Theatre". Latimesblogs.latimes.com. 2011-08-16. Retrieved . ^ a b c d e f g h i j k Wolff, Kurt. 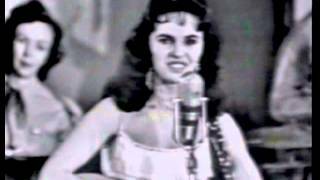 "Biography - Wanda Jackson". allmusic. Retrieved . ^ a b Jurgensen, John. "The Queen of Rockabilly Returns". Wall Street Journal, January 21, 2011. p. D8. ^ a b c d e Wolff, Kurt (2000). "Ch. 7: You Can't Catch Me: Rockabilly Busts Through the Door". In Orla Duane. Country Music: The Rough Guide. London: Rough Guides. pp. 275-276. ^ "Wanda Jackson to Be Inducted into Rock and Roll Hall of Fame". Retrieved . ^ a b "Run-DMC, Metallica Lead List of 2009 Rock Hall". Associated Press. Retrieved 2009. ^ a b "nDepth Stories of the Ages: Wanda Jackson - The Queen of Rock n' Roll". Ndepth.newsok.com. Retrieved . ^ "Book of Memories". Vondelsmith.frontrunnerpro.com. 2011. Retrieved 2013. ^ a b c Larkin, Collin. 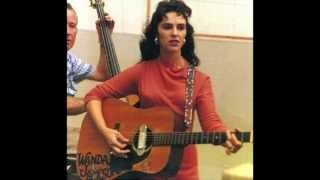 "Wanda Jackson Biography". oldies.com. Retrieved . ^ a b c Chancellor, Jennifer. 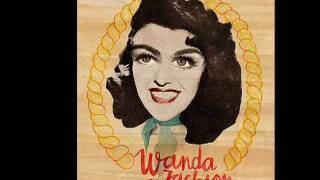 "Sass and Style (Profile of Wanda Jackson)]". Tulsa World. Retrieved 2008. 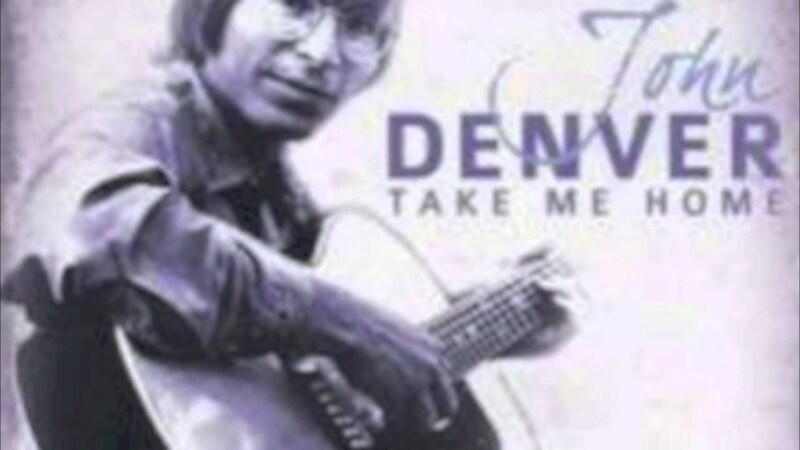 ^ "Sample of "I Gotta Know"". Rockin' Country Style @ Emory University. Retrieved . ^ "RCS Label Shot for Capitol (Calif.) 3485". Rcs-discography.com. Retrieved . ^ a b c d e f Bruke, Ken. 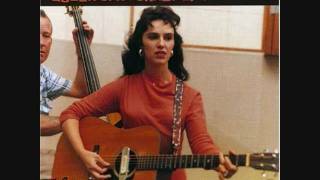 "Wanda Jackson Biography". 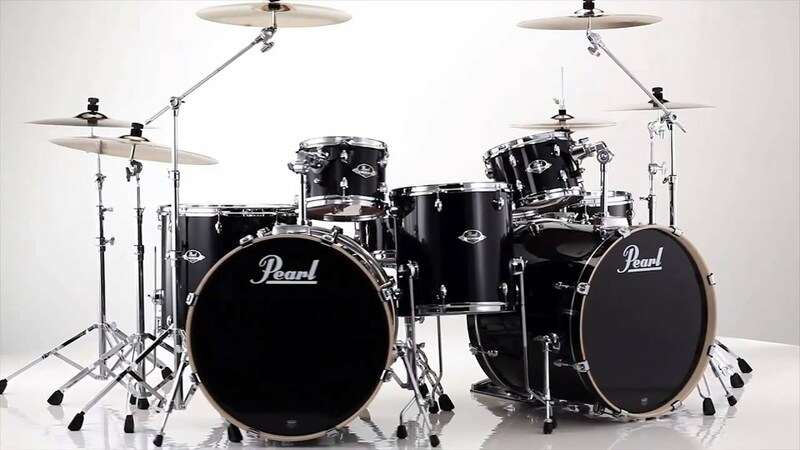 Musician Guide.com. Retrieved . ^ a b Walsh, Mike. "The Rock & Roll Eruption of Wanda Jackson". Mission Creep.com. Retrieved . ^ "Rockabilly Festival on Tap for Jackson". CMT.com. Retrieved . 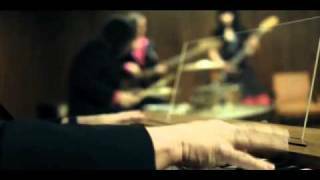 ^ "Fujiyama Mama By David Hill, The Cadillac Angels". Rockabilly.net. Retrieved 2018. 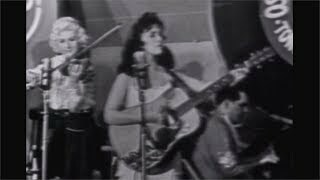 ^ "Wanda Jackson - Heart Trouble". Wanda Jackson.com. Archived from the original on 2008-07-31. Retrieved . ^ "London Rock & Roll.com". Archived from the original on 2015-08-01. Retrieved . ^ "Jack White to Produce Wanda Jackson". Pitchfork.com. Retrieved . 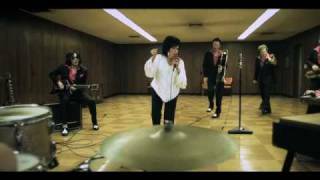 ^ "New and Hot Video: Wanda Jackson 'In the Studio'". Rolling Stone. 2012-07-10. Retrieved . ^ "Wanda Jackson Interview". Classicbands.com. Retrieved . 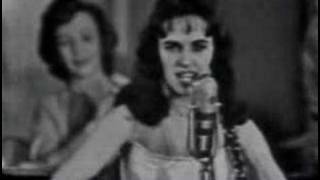 ^ "Wanda Jackson". Grammy.com. 14 May 2017. Retrieved 2018. ^ "NEA National Heritage Fellowships 2005". Arts.gov. National Endowment for the Arts. Retrieved 2017. ^ "Twitty, Jackson Nominated for Rock Hall". CMT.com. Retrieved . ^ "Wanda Jackson Nominated for Rock Hall Induction". CMT.com. Retrieved . ^ "Iowa Rock n Roll Music Association - Inductee List". Iowarocknroll.com. Retrieved . ^ "Instagram post by Wanda Jackson o Nov 14, 2017 at 7:58pm UTC". Instagram. Retrieved 2018. Wolff, Kurt (2000). "Ch.7: You Can't Catch Me: Rockabilly Busts Through the Door". In Orla Duane. Country Music: The Rough Guide. London: Rough Guides Ltd. pp. 275-276. "Rockabilly Festival on Tap for Jackson". CMT.com. Retrieved 2013. Voices of Oklahoma interview with Wanda Jackson, conducted January 17, 2012. Original audio and transcript archived with Voices of Oklahoma oral history project. Voices of Oklahoma interview with Wanda Jackson. First person interview conducted on January 17, 2012, with Wanda Jackson.